Miami International Airport or MIA as locals call it is the second busiest airport for international travelers to the United States after JFK airport and is the gateway to Latin America and the Caribbean. Given the extensive flight coverage to the Latin America and Caribbean region many international travelers transit through Miami en route to a destination in that region. Please note that if you are traveler from a Visa Waiver Program country (VWP) and are connecting via Miami International Airport to a destination in Latin America or the Caribbean you will need to apply in advance for an ESTA authorization. Filling out an ESTA is fast and most travelers receive their approval within minutes. 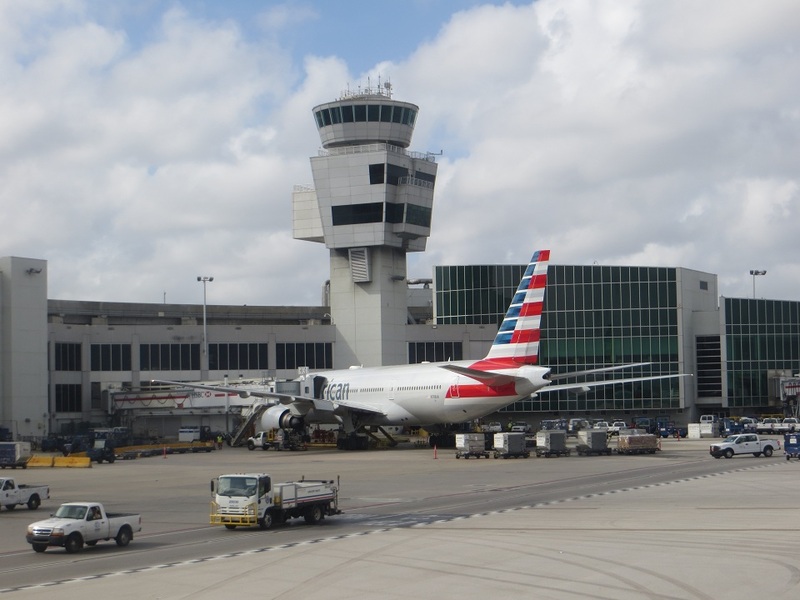 Miami International Airport has grown very strongly in the past few years given its strong links to its Latin neighbors and its strong link as a connecting point to the region. Many travelers from Europe and the Middle East transit through Miami on their way to destinations in Latin America and the Caribbean not covered directly by carriers from those regions of the world. Miami International Airport at times is very busy so it’s important to ensure that you have plenty of time between your arrival and your connecting flight since you will have to go through passport control and then through security again when boarding your next flight. 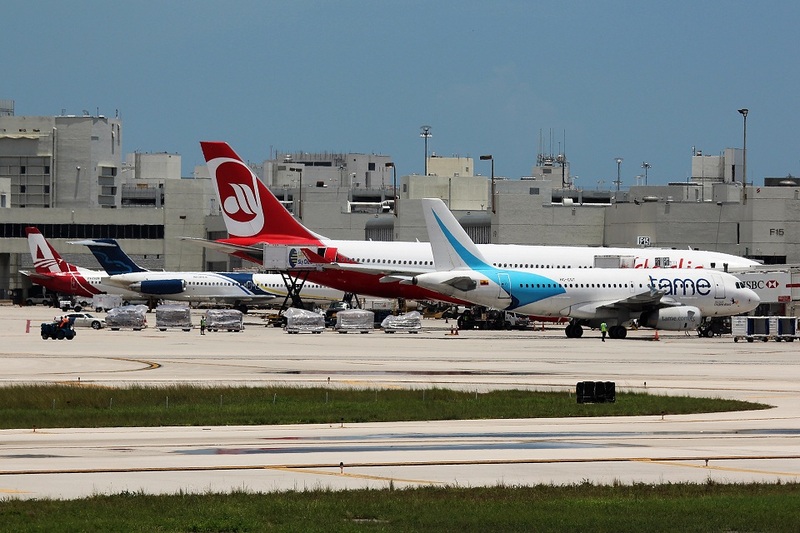 Miami International Airport is divided into three terminals: North Terminal, Central Terminal and South Terminal. The three terminals are interconnected and you are able to walk between the three of them. Inside the terminals the gates are divided into Concourses. North Terminal Concourse D and E – All of American Airlines flights both domestic and international depart from these two concourses. Oneworld partners British Airways, Finnair, Iberia and Qatar Airways also depart from these concourses. Central Terminal Concourse F and G – Airlines serving these two concourses include Aeroflot, TAP Air Portugal, United Airlines and Virgin Atlantic. South Terminal Concourse H and J – This is the newest terminal at MIA and the only one capable of handling the Airbus A380 superjumbo. Airlines that are based in these two concourses include Aerolineas Argentinas, Aeromexico, Air Canada, Air Europa, Air France, Alitalia, Austrian Airlines, Avianca, Caribbean Airlines, Copa Airlines, Delta Airlines, Gol Airlines, LAN Airlines, Lufthansa, Swiss International Airlines, TAM Airlines and Turkish Airlines. 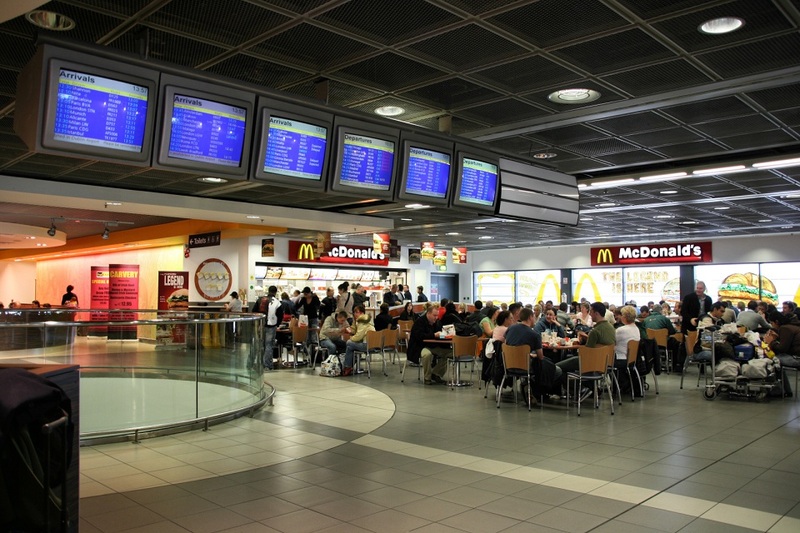 There are numerous restaurants, cafes and shops at MIA. These include the local Cuban themed restaurants La Carreta and Versailles, Chili’s, Sushi Maki, Shula’s Bar and Grill and TGI Friday’s. Shops inside the airport include Tumi, Victoria’s Secret, Tous, Britto, Emporio Armani and Hugo Boss. Duty Free Americas operates duty free shops throughout the airport and they have a very good selection of rums from the Caribbean and Latin America. Please note that if you are traveling in transit to a country in Latin America or the Caribbean through MIA and are from a Visa Waiver Program (VWP) country you need to apply for an ESTA authorization before boarding your flight to Miami. Once you arrive in Miami you will have to go through passport control and customs before being able to go to your connecting flight. If you have a valid ESTA you may be eligible to use the new Automated Passport Control (APC) kiosks located at MIA. This will expedite your processing by U.S. Immigration Authorities.